From the unlikely duo of Bandai Namco and Bristol based company Aardman, typically known for the famous Wallace and Gromit series, comes a glorious homage to the lesser told stories of the First World War. If you’re looking for an all guns blazing, action packed war game then you’re going to very disappointed. 11-11: Memories Retold focuses on the true tragedy of war, telling tales of both the men on the battlefield and their families back at home. With the 100 year anniversary of Armistice Day this year, it’s a fantastic way to show the hardships of what happened. It’s educational, it’s enthralling and it’s stunning. 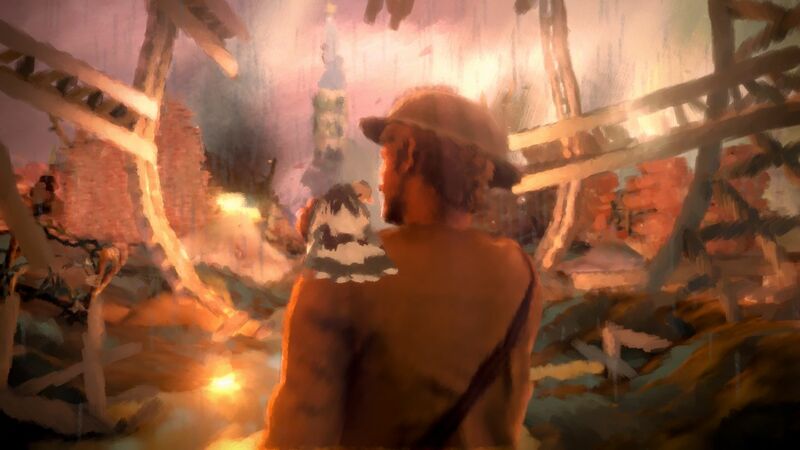 11-11: Memories Retold tells the stories of two opposing sides of The Great War, a German engineer called Kurt (voiced by Sebastian Koch) and a Canadian photographer, Harry (voiced by Elijah Wood). Both characters have their own unique tales to tell and the game flicks between them very frequently, but with slick fluidity. I never felt like I left too soon or too late and always wanted to know what the next part of the tale would bring. Each character’s voice acting is also marvellous too; having the help of two extremely well known and well respected actors gives the story that much more belief as it’s executed so well. Every scene is delivered with such feeling and emotion that you can’t help but be drawn into every word they say. Each of the characters has a distinct role to play; Harry, whilst working in a photography studio, is visited by an army major for a portrait and after being so impressed with Harry’s photos, gets recruited to accompany the major on the front line and document the war. Kurt, on the other hand, finds out his son may have been killed during the war and enlists himself into the army to try and find him. It’s two very emotional and beautifully told stories about the hardships, psychology effects and brutality of the war… and not a single shot is fired; that’s just something that’s unheard of in today’s video games and it completely absorbed me. 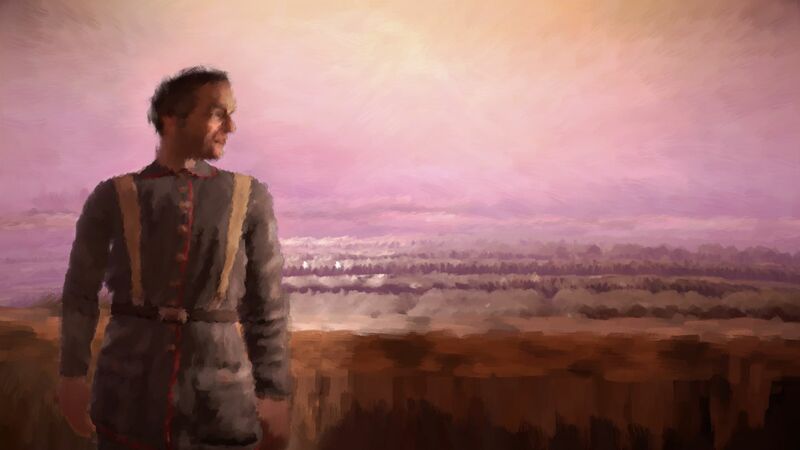 See, games like Battlefield 1 only seem to glorify war and make everything incredibly dramatic and theatrical, whereas 11-11: Memories Retold welcomes us into the lives of two ordinary people who go on extraordinary journeys. The game itself is very basic; you don’t fire a weapon and you aren’t going on countless fetch quests (unless you count Kurt finding his son, a fetch quest), you just get to experience these two stunningly well written stories with levels of interaction. You’ll find yourself eavesdropping on enemy soldiers or solving puzzles, and just walking around taking in the numerous, vastly different locations, the infamous Passchendaele included, that the game has to offer. Throughout the games’ 6 hours, you are presented with a few key choices that will effect how the rest of the action plays out, which adds a bit of replay value to see how changing these decisions can differ each experience. This is done through two ways; the letters Kurt writes home and the photos Harry sends to Julia. With Kurt you get to choose what he says in each one and you’re always encouraged to talk to people as the more you speak, the more you can write home about, giving further variants in the story. With Harry, you get to choose what kind of photos you send and the kind of picture you send home will affect the way Julia feels about you. 11-11 itself does not hold your hand and you don’t have a map to tell you where to go, that is completely left to you to figure out. Luckily, this isn’t too hard as the game does tell you what to do, like speak to a particular person or document a particular event, it just doesn’t tell you where. I really enjoyed this as it gives exploration opportunities, allowing the chance to take in how stunning this entire game actually is. Mechanically though, it must be said that things are a little clunky. Some of the puzzles get a bit fiddly and the movement seems a bit stiff at times but, again, this isn’t meant to be an action game. It’s a story game where you live out the lives of two men in a tragic war; you learn with them and grow with them, hoping that they get to come home at the end. In terms of art direction, 11-11: Memories Retold is absolutely stunning. From the creative minds of Aardman, the game has a living painting style of visuals. At times it may look a little dated, but it has never marketed itself as a AAA, 4K game. But the beautiful aesthetics of brush strokes and vibrant colours is like nothing I’ve seen before. It feels like playing through a moving impressionistic Monet painting, it really makes the whole experience magical, just like a genuine piece of art. This art style will take you on a journey through a tragic war and still, somehow, make it beautiful. 11-11: Memories Retold is an absolutely glorious story of love and loss during the brutality of The Great War. It’s story is believable and educational and it’s told through the eyes of two men who I felt genuinely attached to; I actually cared what happened. It can be a little slow at times and feel a little dated when it comes to the controls, but the game itself does such an amazing job of completely engulfing the player through the entire thing that it really doesn’t matter too much. 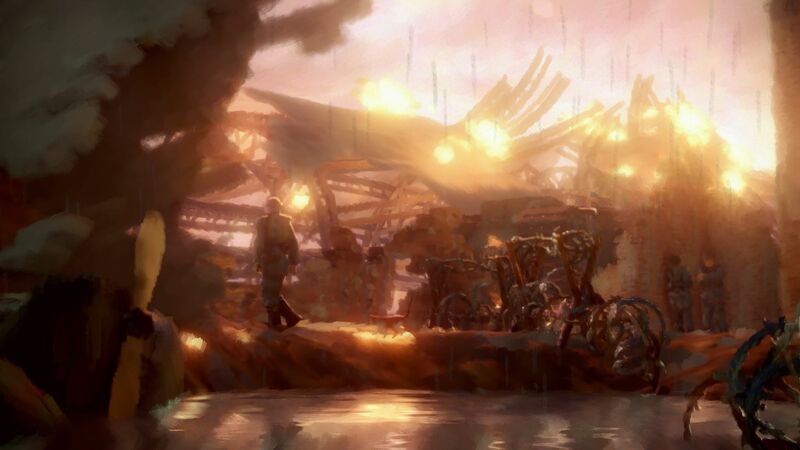 The visuals draw you in, as you feel like you’re playing a moving painting and the stories intertwine with such ease! 11-11: Memories Retold is a fantastic way to mark the 100th Anniversary of Armistice Day.